A fun and unique vodka cocktail, Las Vegas bartender Cory Mendonca created a drink that's sure to make you smile. The "for the record" recipe features Hangar 1's Buddha's Hand Citron Vodka mixed with sweet floral and fruit flavors. 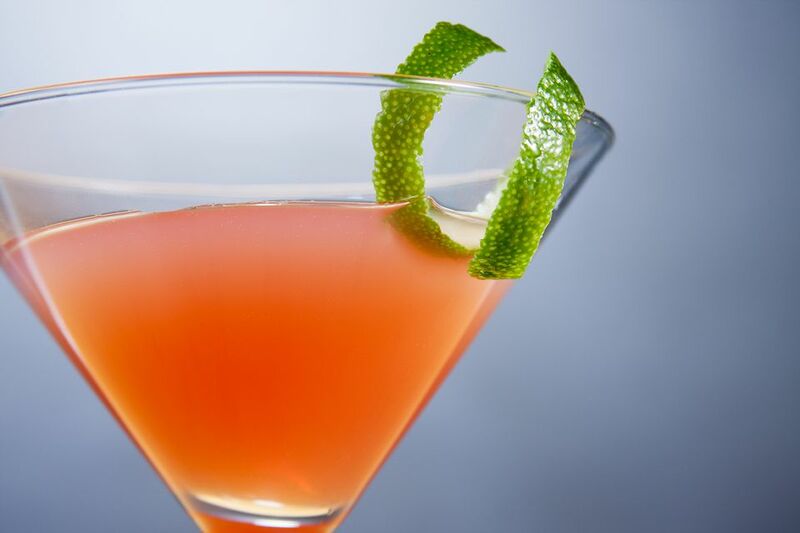 The drink mixes the citrus vodka with St. Germain and Cartron Grenade, a sweet and delicious pomegranate liqueur. To finish it off, Mendoca adds a fantastic strawberry-lime hard cider you won't want to miss. The ingredients in this cocktail are very brand specific and they come together wonderfully. While there are substitutes for most of them, do yourself a favor and try to stick with the recommendations. It's a great way to introduce yourself to something new and they may even become new favorites in your bar. In a cocktail shaker, pour the citrus vodka, liqueurs, lime juice, and simple syrup. Add ice. Strain into a large coupe or martini glass while simultaneously adding the cider to blend. Garnish with a long lime twist. Fresh-squeezed lime juice will produce the best cocktail. The average lime yields between 1/2 ounce and 1 ounce of juice. The quickest way to add it is to simply squeeze the juice from a single fruit into the shaker. With all the attention given to specific premium ingredients, it would only be right to use homemade simple syrup. It's very easy—requiring nothing more than sugar and water—and will save money over the store-bought variety. Hangar 1 takes a unique approach to citrus-flavored vodka by using Buddha's hand rather than the typical citrus fruits. Its zest is particularly flavorful and both the zest and the fruit could be used for a homemade vodka infusion to recreate Hangar 1's version. Alternatively, almost any citrus vodka can be used in this recipe. As a substitute for Cartron Grenade, you could pour Pama pomegranate liqueur or simply use grenadine. Rekorderlig's strawberry-lime cider is just one example of the various citrus-based hard ciders available. Pouring similar ciders flavored with different fruits should produce a great drink as well. In a pinch, regular hard cider will do. How Strong Is a For the Record Cocktail? With nearly the same alcohol content as a glass of wine, this cocktail mixes up to be a flavorful, relatively gentle drink. If you go with all the suggested brands, it should weigh in around 15 percent ABV (30 proof).